Our trip to Indiana was packed with visiting family, eating lot of food, and cold brews in the comfort of my parent's bar. It was delightful! Even Maylee enjoyed herself, taking advantage of the 6 acres of running space. When we left, we both agreed that it was a great visit and we'd really done everything we could to maximize our time there. If you ask Mark, one of the most exciting things that he did was buy a brand new truck! He and my dad spent a few days exploring the options, thinking everything over, and thinking more. Eventually, he decided on the one in the photo (if you couldn't tell by his victory fist pump). One surprise that my parent's had for Mark was a hog roaster! They bought it for him for his birthday and, although we didn't use his while we were there, the family roasted one to teach him the ropes. Maylee loved that she got to be involved in the process, too. My mom and dad hosted a Welcome Home party for us. It was mostly a Meet & Greet for people who knew OF us, but we hadn't had the chance to meet in person yet. Good times, good food, and good company per the usual. My Mamaw was there and she fell in love with Maylee. They cuddled for a bit and I overheard her saying she couldn't remember the pup's name, but she was going to take her home if she could. A few weeks after Mark and I left Indiana, Mamaw passed away and I'm so grateful for our last visit with her. Outside of this party, we spent one afternoon enjoying lunch with her and she dogsat for Maylee one day. When I thanked her she responded, "Oh, my pleasure!!" 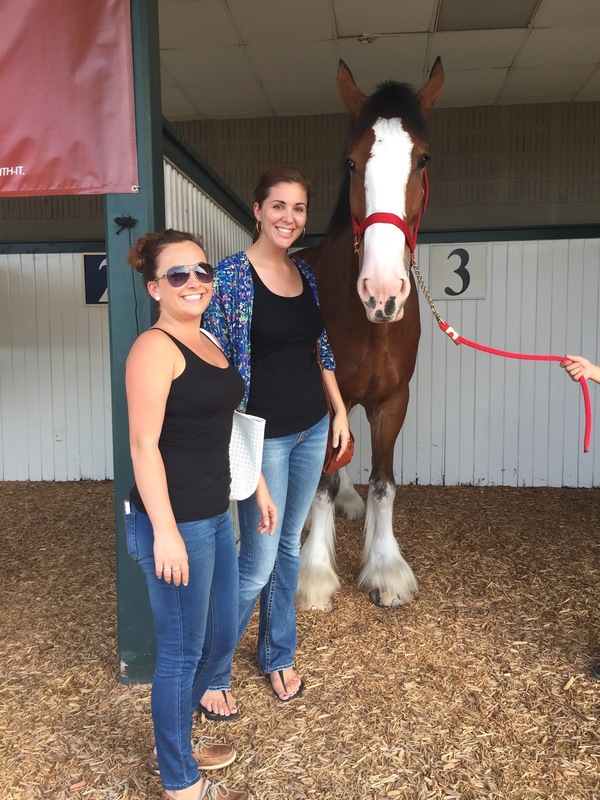 My cousin's wife, Kristin, and I went to Hoosier Park to check out the Clydesdale's. We thought they were going to be all dolled up in their gear, but we quickly realized we were just meeting two big horses. It was still really nice to spend some time with her since the two of them are stationed in Norfolk and we haven't seen each other since before Mark and I left for Japan! One thing on Mark's "Indiana To-Do List" was to go fishing. Luckily for him, my Uncle TJ is always looking for an excuse to go! He picked Mark up super early and they spent the whole morning fishing on Summit Lake. 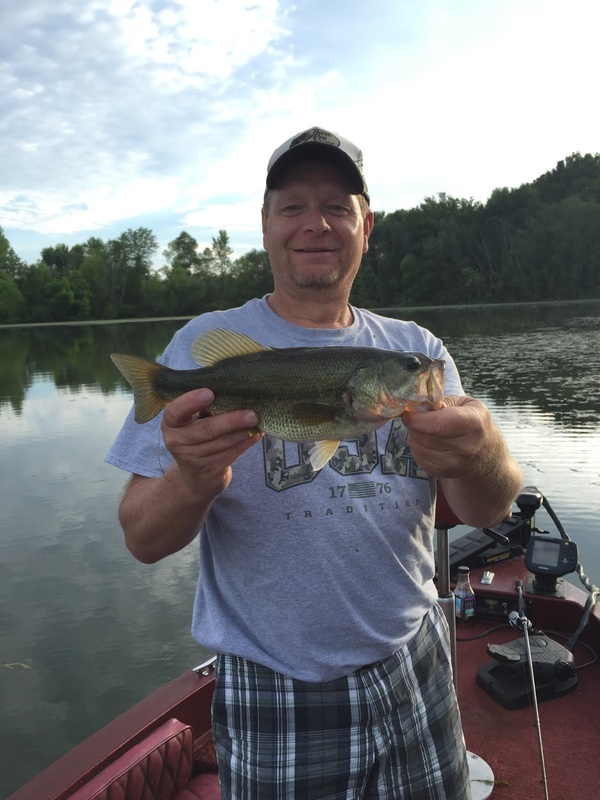 Unfortunately, Mark didn't catch anything, but he still had a great time! 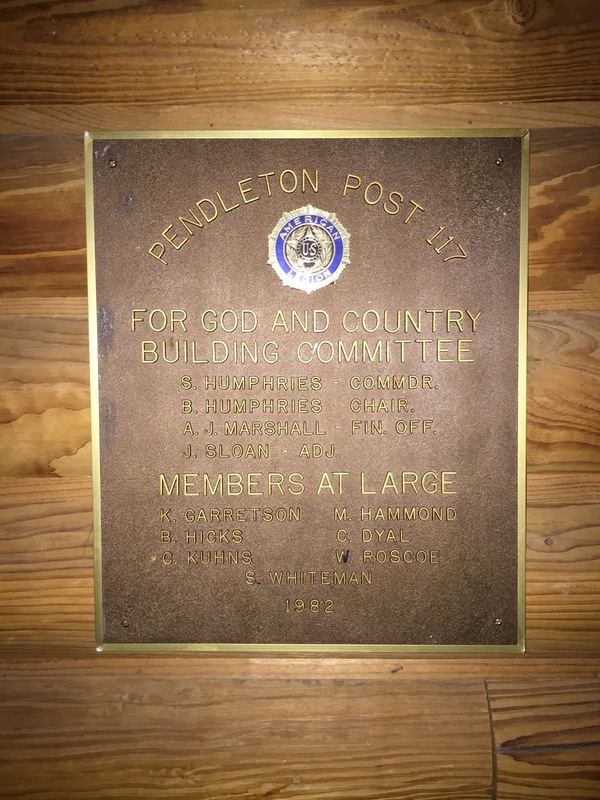 We visited the American Legion in Pendleton, Post 117. It's where my parent's are members, but it's also a place pretty significant to my dad's side of the family. My grandpa and my uncle were both on the building committee as the Commander and Chairperson. Pretty cool, huh!? 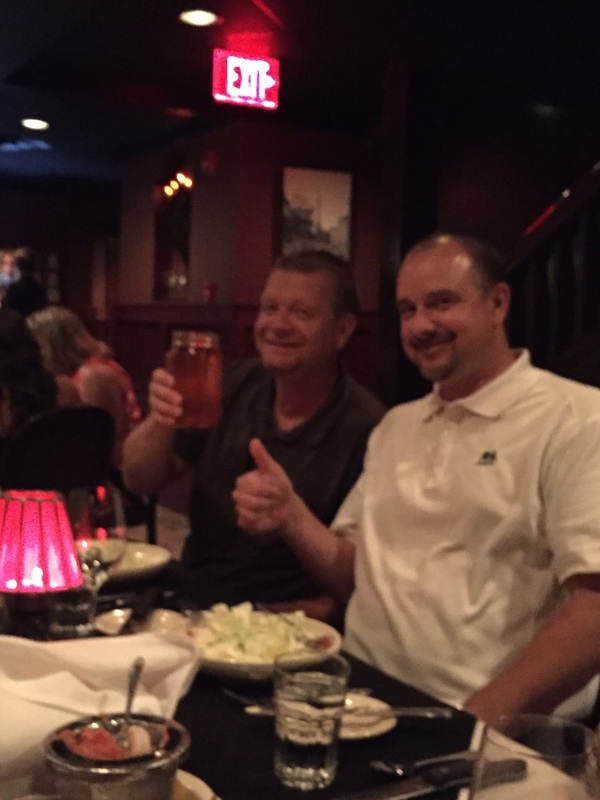 To make it even more special, Mark decided to transfer his membership to this post because of the family history. During out last weekend in town, we were super busy! My great uncle was celebrating his birthday and there was a big surprise party for him at St. Elmo Steakhouse. All of my mom's siblings came and a lot of my cousins, too. There were nearly 75 people there, which is a true testament to how loved my Uncle Mike is! In true "that's my family," fashion, the moonshine was being passed around the table during dinner. Only us, folks! 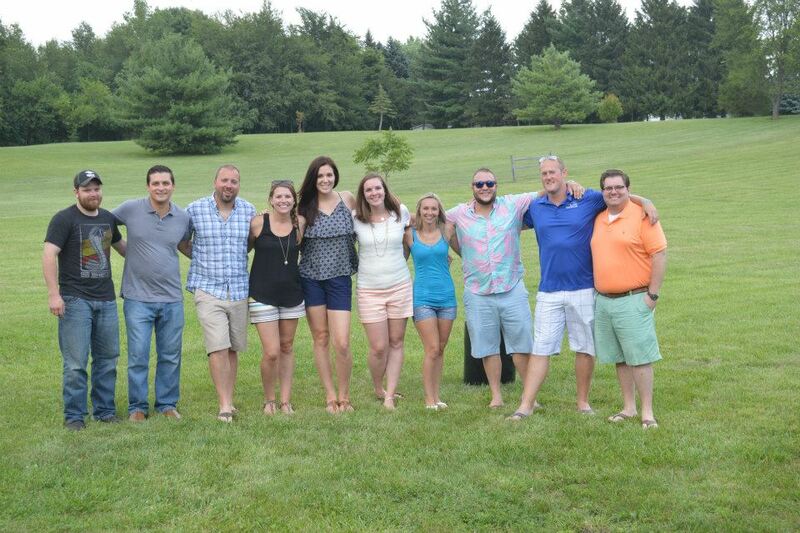 We wrapped up the Indiana leg of our trip by enjoying my 10 year class reunion. My parent's opened up their home (and bar) for the party and a few of my classmates came out to celebrate. It was great to see those that made it! Indiana was a great place to kick off our crazy trip, but it was time to move on to Chicago!